This is the short version of Art Abrams Jazz Summit Finale. August 24 2014 11am to 2pm. This is a 2 minute 49 second excerpt from that 3 hour show. 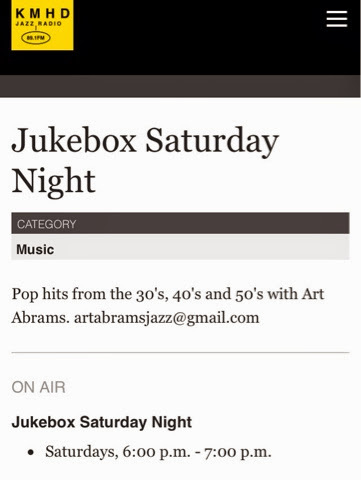 Art on 2014 August 24 retired the Jazz Summit on KMHD Jukebox Saturday Night will continue. 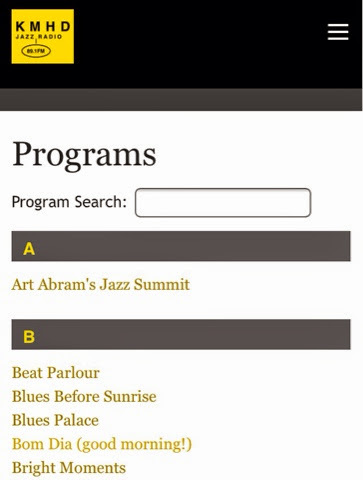 Please join Art Abrams this Sunday August 24th 11:00 am - 2:00pm for his Finale Jazz Summit Broadcast . After almost thirty years, Art bids a fond farewell to his Sunday Broadcasts, However Art will still program and host his "Juke Box Saturday Night" from 6pm to 7pm on Jazz Radio KMHD 89.1 fm or online at www.KMHD.org.